Sometimes, things happen and your credit takes a hit. Whether you have made some serious mistakes, or whether you have weathered a financial emergency like a job loss or a medical problem, you might need to repair your credit. Indeed, your credit situation has a great deal of influence on the rest of your financial situation. Loans cost you more when you have poor credit, and even your insurance rates and other costs can be influenced by your credit situation. One of the fastest ways to rebuild your credit is with the help of a credit card. Because credit card information is regularly reported to the credit bureaus, you can speed up the rate at which you see solid improvement to your score. 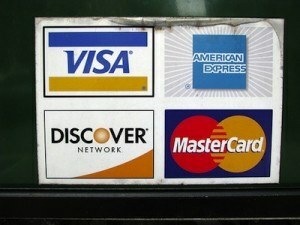 Unfortunately, if your credit situation is especially poor, you may not be able to qualify for a “regular” credit card. In those cases, you might need to turn to a secured credit card in order to help rebuild your credit. A secured credit card, or a guaranteed credit card, is one that requires you to provide collateral in order to gain approval. Nearly anyone can be approved for a secured credit card, but you have to guarantee your line of credit with cash. Most of the time, you are required to deposit a certain amount of money into an account connected to your guaranteed credit card. If you miss payments, the credit card issuer can take money from your account, and use it to pay what you owe. Most of the time, a secured credit card requires that you put in an amount of money that corresponds to your credit limit. Some guaranteed cards, though, don’t require you to put in as much. You might only have to guarantee the card with a percentage of your credit line. In any case, it’s a good idea to find out what is required of you before you sign up for a secured credit card. You should also be aware that using a secured credit card will come with relatively high costs. You will pay a higher interest rate if you carry a balance, and you might be subject to a battery of fees, including activation fees, annual fees, and other fees. You need to be on your guard when it comes to secured credit cards. They can be useful tools when you have no other option for building your credit, but you need to use them carefully. Using your secured credit card to rebuild your credit requires planning and patience. First of all, make sure that you are actually getting a secured credit card. A prepaid debit card is not the same thing. At first glance, they might appear to be the same thing, but they really aren’t. A prepaid debit card won’t report your payments to the credit bureaus, so you won’t see improvement. Verify that you are actually using a guaranteed credit card, and that the issuer will report your history to the credit bureaus. Peer to Peer Lending Worked for Me! Once you have your secured card, you need to use it. Realize that the money in the savings account is only collateral. You should make your regular payments with other funds, and not rely on the money being held as a guarantee. Make one or two small purchases each month with your secured credit card. Then, pay off the purchases. Make sure you only buy what you already have money for. You don’t want to carry a balance. After a few months (usually between nine and 12), you can ask if you can convert your secured card to a “regular” unsecured credit card. Many secured cards offer this option to consumers who make regular payments and show themselves responsible. Even if you can’t convert, as long as you make all your payments on time, and you are up to date on your other bills as well, you should be able to try to apply for — and qualify for — an unsecured card. Responsible financial habits are vital to the process of rebuilding your credit. If you are careful, you can use a secured credit card to demonstrate your level of financial responsibility, and improve your situation. Secured cards are a great vehicle for people with little or no credit history to begin building a file of positive experience. Over time it will help elevate your credit score. People with accounts currently delinquent probably won’t find much value in opening this type of account. They have to get current on outstanding debts first. I was able to raise my credit score after I got a couple of secured credit cards who reported to the credit bureaus. Great article and thanks for the write-up! I haven’t used one of these cards… so I dont really know how effective they are. But if I was struggling with bad credit I would use Lexington Law. I know they have been around since the early 90’s and have helped tons of people. I have heard really good things so I know they would be a safe bet.